"If you're beating your head against the wall and draining your bank account with little return on Facebook ads, STOP the madness and work with Rachel. I don't want to know how much money I wasted prior to working with her, but now I know, every penny I spend counts. But Rachel isn't just smart and efficient. She has a contagious joy for watching others succeed, which is rare. She won't just be excited to get your business; she'll be excited about your mission." "Rachel is the solution to all of your tech, website and Facebook ads needs. Her energy and beautiful, giving spirit make her not only the Techspert of your dreams, but an incredible addition to your team. She's a true delight and someone who's a gift to entrepreneurs everywhere. She and her team will be a huge asset to your business and help you make more money, have a greater impact and no longer want to throw your computer out the window!" "When I first started working on my marketing campaign on Facebook with Rachel, I was clueless. On our first consultation, I knew that Rachel knew her stuff. She helped me tweak a few things with my campaign and opt in and suddenly my advert was doing well! She's engaging, informative and fun and takes the headache out the techy stuff!! On our second consultation, she further helped me extend and expand my campaigns and now I've found the perfect audiences and my list is growing! I will never hesitate to hire Rachel for any of my "tech" stuff as this is a blonde bombshell that knows her stuff and helped me save $100's on mistakes. If you are looking for a techspert then she is your girl!!" "I earned my first 5 figure month after working with Rachel and now am almost consistently earning 5 figures a month!!!! When I started working with Rachel, my business lacked focus and organization. Rachel is a fantastic mentor. She is always pushing me to think deeper, to work on my strategies, to set stretch goals and to improve myself so I am a better leader. Rachel has helped me take a business that was disorganized and overwhelming to a company that I absolutely love and can't wait to continue to grow." "Working with Rachel has honestly been the best business decision I have made. In our initial call, I felt she and I just "clicked" - she understood exactly what I was looking for in terms of website branding, and her ideas for my website were perfect. It's like she was reading my mind! Throughout the time we worked together, she was always accessible, and answered all of my questions. When my site was done, I was absolutely blown away by how amazing it looked. I wanted to reach through the screen and hug her! I am so proud to put my website out into the world, and truly could not have built my business without Rachel!!! I cannot recommend her enough, and for all those like me who feel they are struggling with the "tech" side of their business - stop stressing and just hire Rachel!!!" "I often spend a great portion of my day talking to my computer trying to cajole it in to doing what I want. This can sometimes end in shouting and tears. By me, not the computer. Rachel takes this pain away. She speaks laptop speak and made all things harmonious in my tech world. Working with Rachel was a relief, not only did she get systems in place for me with uber speed, she explained different ways of working in terms I understood. No robot speak, no more googling answers or searching help menus. Rachel was all about creating systems for me and my business that would be robust with growth. She understood my needs as an entrepreneur, unique in the tech space. One hour with Rachel saved me days on my own, giving me more time to make money in my business. Rachel has a great spirit and HUGE passion which oozes in her sessions. I almost want to create a tech issue so I can spend more time with her! Grab her packages with both hands before she sells out." "There are some things in life that are worth spending money on and this is one of them! Initially I was going to try to build my own website but I could tell early on that it was going to be extremely time consuming and take me away from the activities that I should be doing on a daily basis in my business. So, after some thought, prayer and discussion with my husband, I decided to spend the money to have Rachel and her team do it for me. It was THE BEST decision ever! Rachel was attentive to the details and really listened to my vision for the look and feel for my website and then she made it come to life. I almost cried when I saw the finished product. I know I never could have created a website as beautiful as the one she created for me. If you are on the fence about whether you should spend the money, I say do it! You will be blown away at what she creates for you." "I always thought I was pretty tech saavy... until I started my own business. There were so many options, it made my head spin! Thankfully, I found Rachel. She helped me get clear on my options and develop a tech strategy that works for me! She made it easy to understand and showed just how user friendly it could me. So glad to have Rachel as my techspert and secret weapon for all my technical business needs." "Going through Rachel McMichael’s business mentor-ship program has truly been the driving force behind my success in my personal training and on-line fitness business. Rachel’s business acumen resonates with every conversation we have together. Her assigned tasks and follow ups have created exactly the focus that I need to stay on track and grow my business. I highly recommend Rachel’s mentor-ship program to anyone looking to build their entrepreneurship endeavors"
"Before working with Rachel I was incredibly stressed and overwhelmed with all of the projects and ideas I had in mind to grow and build my business. As a mother to two young children I only have a few hours each day to get things done, but knowing where to start and focus my time was difficult to figure out. With Rachel's help I've been able to use my time efficiently to get the tasks done in the order that will move my business forward. My time management has gotten better and those ideas have now been turned into action. I love the accountability Rachel gives as well as her follow through with weekly action plans. Without her help, I have no doubt that I would still be feeling stressed and be lacking in implementing my ideas. She's given me great direction in my business that is worth far more than the money spent for her time. So grateful and highly recommend her Business Mentorship Program!" "This course gave me a great understanding of how Pinterest works and how I can leverage it in my online business. I am already implementing strategies they covered and will continue to use what I learned as I build my business. Thanks ladies for a great experience!" "Pinterest Academy has incredibly helpful tips and tricks for launching your business forward without a ton of daily work involved. You literally set it and forget it with the help of these ladies' insights and knowledge. Their suggestions are spot on, encouraging, and constructive. This course is a no brainer if you want more traffic driven to your website and to create another avenue for passive income! " "Thank God for Rachel! As someone who finds the world of technology a bit daunting, I was over the moon to get to work with her. Working with Rachel has made my life so much easier. Not only is she super smart and helpful, she is also really lovely and easy to talk to. If she can explain this stuff to me in a way that I understand it, she can explain it to anyone!" "Before my coaching session with Rachel, I felt completely overwhelmed by the technical side of running my business. That was so frustrating, because I know that so many people need the help that I'm able to provide, but I couldn't figure out how to reach them! In our very first coaching session, Rachel showed me multiple strategies for increasing my reach through both Facebook and Pinterest. She also coached me through setting up my very first e-mail funnel! I've known I've needed this kind of help for so long, but I never knew where to find it. Connecting with Rachel has been a complete game-changer for me! Now I've got a clear-cut strategy to attract the right people to my list, and I'm able to find and serve the clients that need me most. It feels amazing!!! If you're on the fence about hiring someone to help you with your business, I can promise you that you're in great hands with Rachel!" "I am the first to admit that Tech is not my forte! After spending far too many hours trying to figure out why my Facebook Ads weren’t giving me what I expected, I turned to Rachel. I sent her screenshots of the ‘behind the scenes’ analytics and she spent the time to go over what I needed to do and broke it down into simple steps for me to follow. After a few days of implementing Rachel's steps, my email list increased from 6 to over 250 – literally in a few days. I now have a list of engaged people that I email and broadcast to. I highly recommend Rachel to anyone who needs guidance on systems and all things Tech!" Before I met Rachel, I'd try and figure out tech stuff myself and it was such an uncomfortable feeling. In fact, I'd hate every moment of it. I knew it was not my area of expertise, but I had no idea that there could actually be someone out there that would enjoy doing this stuff and have such an incredible personality too. Then I found Rachel! OMG, what an incredible woman! I wish I had found her sooner. I came to Rachel with a very basic knowledge of Facebook Ads, Funnels and CRM and she listened to my frustrations and then walked me through the whole process. It was like magic! Rachel knows her stuff and explains in the most plain talking and fun way possible. She loves tech, and after speaking with Rachel, I was even more excited about tech too. There's no need to suffer in silence and try and figure it out alone. Rachel is your go to for tech stuff! It's her zone of genius and she loves it! I cannot recommend Rachel enough! "I came to Rachel because I was STRUGGLING with Facebook Ads. I could not master my targeting and knew as soon as we would hop on the phone, Rachel would know exactly what to do. But here's the best part: Rachel didn't just give my tips on fixing my targeting, she FULL ON fixed my marketing strategy and gave me a full action plan to grow my business (in 45 minutes!) Rachel is not only a tech genius, but a authentic, intuitive, sincere business coach. These two super powers make her a FORCE to be reckoned with. YOU NEED RACHEL IN YOUR BUSINESS!" "I absolutely love working with Rachel! She's been super patient with me as a client, as the learning curve has been steep and I had to put my project on hold for a little while. She truly is the "Techspert", and her energy and enthusiasm for her craft is fantastic. From my initial request for website development--that she translated and created so amazingly for me--I have found myself getting her help for many other techy parts of my business, and it has been SO worth it. Make your life easier and more joyful and work with Rachel!" "I can't even begin to express how grateful I am for Rachel! She is a total lifesaver! I like to think I'm pretty tech savvy but with constant updates it can be hard to keep up. After working on activating a Facebook Pixel all night, I reached out to Rachel for support and she got everything up and running less than 45 minutes after receiving my initial email. Thanks to her help, I'm on track with the launch of my ad and hitting my first 5-figure month! Thank you so much Rachel! I couldn't have done it without you!" "I am so glad to have crossed Rachel's path!! She has been such a significant part of my business development. She creates a clear path for success and helps make the process of integrating tech seamless. I am in absolutely, no way, technically saavy. I want to dedicate my time to creating programs for ambitious career women, not learning how to build a website! She was able to take my vision for my site and make it reality! I get so many positive comments on how great my website is. Rachel has simplified the process for me and created step-by-step lessons on all things tech that I can refer to so that I can accomplish tasks on my own. She has empowered me and made me feel like I CAN figure out technology. She is such a life-saver and explains the techy talk to me in a way that MAKES SENSE. I have loved working with Rachel and will definitely work with her again!" "Since working with Rachel and her team, I have had the opportunity to see the power of an amazing website! Not only did they completely revise my website, she suggested rebranding. BEST IDEA EVER! Rachel was able to capture my brand, message and best of all my personalty with my new branding. I am very thankful she took the leg work out of doing all of the tech side of my business so I could focus on serving my clients!" "Rachel went above and beyond to help me up-level my Career and Leadership Coaching business. She got into the nitty-gritty of my web copy, branding, product offering and content strategy. With all of that in place, I was able to set up the infrastructure for a thriving business and a growing audience that I can serve with my mission of helping women reinvent their careers after the life-changing (and mind-blowing) milestone of becoming a mom. I was inspired to see Rachel in action with all of the various technology tools we used along the way. She truly speaks tech and made me feel like that’s within my reach. Overall, the three months was game-changing for me and my business." "Working with Rachel has been a dream, she spent time really understanding my needs and setting milestones. Rachel really knows her stuff and makes "tech" seem less scary and more accessible. I now understand Facebook advertising and have got adverts that convert into paying clients. Rachel is positive, energetic and brilliant to work with. She has really helped me move to the next level of my business and I would recommend her to anyone wanting tech support and to upscale what they are doing. Thank you Rachel, I have now started 2017 on a high and it is all down to you." "Rachel McMichael guides you from wanting to cry and throw your computer out the window to a place of calm safety, because you know she’s got your back! I struggled with the tech pieces of my business till no tomorrow. Seriously, I wanted to get into personal development to change lives but I could figure out how to make all the pieces work to even let people know what I was doing! I wanted to cry most of the time because I was so frustrated. I didn’t even know what I didn’t know. I had no idea coaching required me to have an IT degree. Rachel got on the phone with me, talked me off the ledge and took all the tedious, foreign crap off my plate! She was a godsend! She took all the mess and made it work! Not only did she make it work she made it pretty! She was a tremendous help with all systems but especially the website! The website is my calling card to the world. It’s the first place people come to check me out and snoop around to see if we might be a good fit and I wanted it to represent me well! She nailed it! I love my website and I love that I am able to go in and make tweaks when I want! Would totally recommend Rachel….. you aren’t throwing in the towel by outsourcing, you're smart and you can get back to working on the pieces of your biz you actually enjoy!" "I was feeling stressed and overwhelmed by how I thought my business needed to run. I'll never forget it when Rachel took an inventory of everything I liked to do. She told me if I didn't like to do something, I never had to do it again. She helped me figure out what energizes me and encouraged me to focus on those things. Rachel is a fantastic mentor who always gives me actionable steps to take to move my business forward, and goes above and beyond helping me understand the tech stuff that usually makes me pull my hair out. I can't wait for our next strategy session!" "Words cannot describe how thrilled I am with the work Rachel has done on my website and membership site. When I first got in contact with Rachel she filled me with confidence that she could create the perfect website for me. I had a business which needed completely rebranding to make it a success and Rachel knew exactly how to do it. Over the months that we worked together, nothing has been too much trouble. Rachel isn’t happy until you are happy and she has put in 110% to ensure I loved what she had created. I cannot recommend Rachel and her team enough, I couldn’t possibly have done this without her and I am so thankful for her work." "Wow, technology is certainly not my zone of genius and it is most certainly Rachel’s! What a huge relief she is to any business owner who loses hours of time trying to work things out ultimately zapping all of their creative energy. I cannot recommend Rachel enough, she is a a complete people person and ‘techspert’ all rolled into one! It is clear Rachel loves everything to do with technology but she is also able to not only explain clearly but to engage people like me so I don’t completely switch off which is what usually happens! Business owners, we need not suffer anymore when Rachel is on hand to help, we can spend time on what we are good at instead. Phew….thank you Rachel!" "I'm a Body Image Coach, who supports women in feeling Fabulous, Amazing, Gorgeous in their own skin. I'm completely new to coaching and have found myself lost a few times with all the technical terms and all the little things that I needed to make things run smoothly. Rachel is competent in all the fields I asked her questions. She listens to me with great attention, supports me in making the right decisions for my business and she's funny!! She has done it all, tested the water and she knows what's working so I've been able to save time guessing. I highly recommend Rachel to everyone who is thinking about having a coach!" "I was referred to Rachel by my wife who had great things to say about Rachel’s skills and professionalism and I was certainly not disappointed. Rachel was knowledgeable, attentive and passionate about helping our business improve and grow our online footprint. I would recommend Rachel without hesitation!" "The tech world is not my jam; plain and simple! So I am beyond lucky to have connected with Rachel, and worked with her on many parts of my business that normally give me a total headache! She is truly instrumental in making tech easy and explaining things to me in a way that didn't leave me feeling lost. Rachel worked on Facebook ads and strategy, and automating my business to leave more time for me to Coach, which is what I love doing the most! Her straightforward approach is also something that I really value about her. She has loads of experience working with all types of software and platforms, so when you ask her a question about implementing a new system in your business, she will give you real, honest, first-hand feedback (the pros and the cons). As a busy Mom and entrepreneur, I am constantly pulled in many directions, and Rachel understands this. I couldn't work with someone that doesn't get Working Mom life, and she helped keep me on track with what I needed to provide her and her team in order to stay on task, and deliver on the timeline we agreed upon. Her expertise was truly imperative in my life when I was first launching my business, and there were times I could have moved forward on something that wasn't the right path, but Rachel was there to strategize and guide me to make better business choices. I can't say enough about how lovely Rachel is to work with and encourage you to give her a chance if you are taking your business to the next level! She is not only talented in her specialty line of work, but she is an absolute pleasure to do business with!" "There is no one better at tech than Rachel! 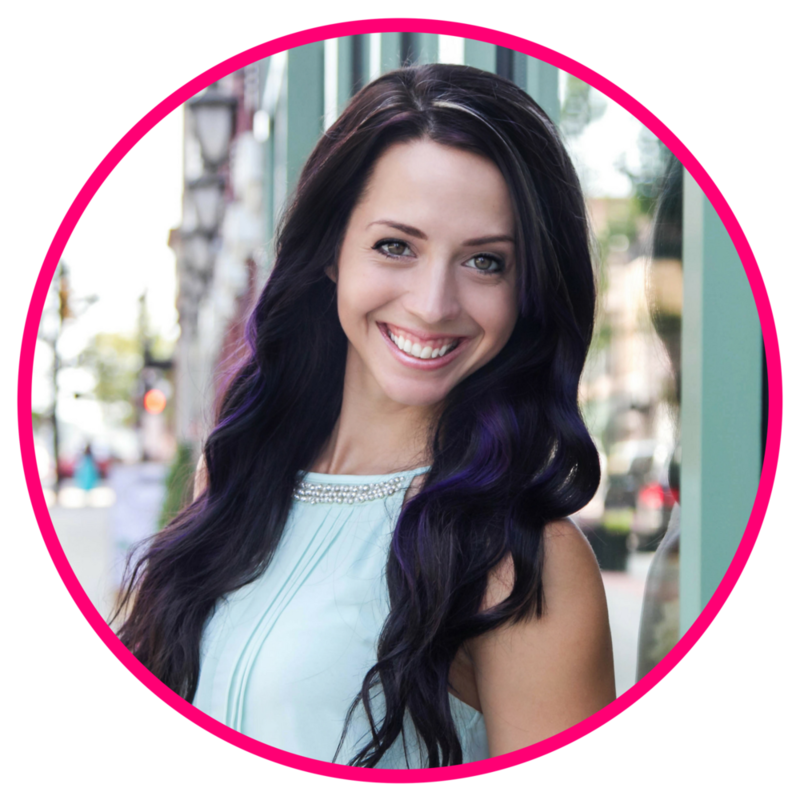 Rachel created a BEAUTIFUL Business and Fitness membership site for my clients, which is going to be an AMAZING income stream I can use FOREVER! She is extremely quick and knowledgeable and can make anything possible for your site, ads, website, anything! She is the secret weapon to your back end business success, and takes ALL THE STRESS!" "Rachel is nothing short of a tech angel!!! I don't know what I would have done without her. She helped me not only make my website look amazing but was able to assist me in setting up my sales funnel AND Facebook ads. She made all my coding and facebook ad issues disappear within a few hours! If I had done it alone it would have taken me days! Rachel is honest & clear - essential when you're unsure about how to manage things at the start. She understood my needs quickly and not only did she help with my setup at the start of my business, she was also full of amazing tips and ideas. If you are having tech issues, you need Rachel in your life!!!" "Rachel is an incredible woman who makes juggling being a mom, wife, and business woman look easy. After we had a 15 minute chat, I really wanted to invest in a call with Rachel, but was nervous about the investment after being burned in the past. I was cautiously optimistic, so I invested in a 45 minute call with her. The investment was 100% worth it. Before my call with Rachel, I was feeling really stagnant - like I was simply treading water - in my business. I had great services in place, a great support system with incredible women, but nothing to continue to serve my clients. Rachel came to our call with not just one, but several ideas to not only grow my business and revenue, but also to serve my clients with the talents I already have with very little investment to get started. I'm within an arms reach of making back my investment, and it was only 7 days after we spoke (with a holiday peppered in there). Invest in Rachel. You will not regret it!"